The Soulis apartments offer modern comforts and a privileged location throughout the year, just 100 meters from the beach of Kouloumpos and 4 km from the center of the town of Oia. This apartment consists of a bedroom and a living room with sleeping area or kitchen with living room / bedroom. It has a kitchen, bedroom area and bathroom. 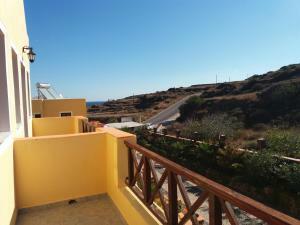 2 level apartment with unobstructed views of the Aegean Sea. It includes a kitchenette with a stove and fridge, air conditioning, TV and free Wi-Fi. Apartment with a balcony overlooking the pool, air conditioning and a kitchenette with a fridge and stove. It also includes a TV and free Wi-Fi. This apartment has a kitchenette with a refrigerator and stove. 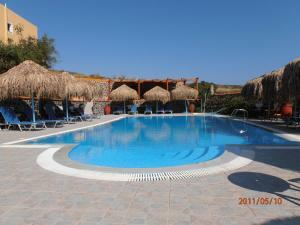 It is equipped with air conditioning, TV and free Wi-Fi. This apartment has an electric kettle and a kitchenette with kitchenware.